Garth Nix’s phenomenal Old Kingdom trilogy (Sabriel, Lirael and Abhorsen) is simply one of the best trilogies in children’s literature. Evocative, resonant, creepy and thrilling, they are everything a young reader could want in a fantasy world. 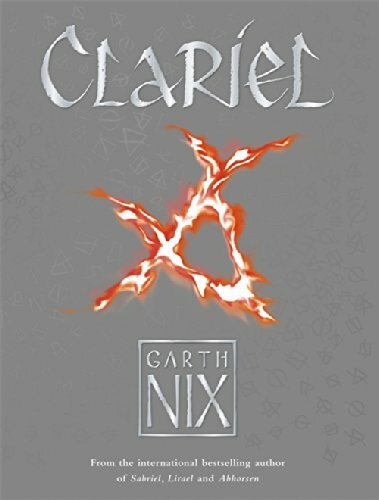 So the expectation was always going to be high for Clariel, a prequel to the original books. Set hundreds of years before Sabriel, the story unfolds in the capital city of Belisaere, which is in the thrall of a renaissance, where art is revered and magic considered outdated. The ardour to replace the old ways with the new is at the heart of much politicking, but it’s clear some old ways are being ignored to the cost of everyone. Clariel, herself a distant antecedent of Sabriel, dreams of a simple life of solace, peace and natural beauty in her beloved forest. Instead, with her family’s high standing, she is forced to move with them to Belisaere where she feels ensnared by the stone walls, tedious traditions, and endless designs for her future there by those around her. But there is more to Clariel than a young girl yearning for freedom; she is a Beserk. If she gives in to her rage, it becomes so strong and overwhelming she is gifted with both physical and raw magical strength. It borders on a form of Free Magic – the dangerous and unrestrained magic associated with the most perilous creatures of the Kingdom. When mages of the Charter – the complex and ordered form of magic that binds the land – ask Clariel to face such a creature, she tastes a power she has never known before, and sees a chance for escape, if she can stay one step ahead of her deadly enemies and dubious allies. Despite feeling a little slow to start in detailing Clariel’s new life and the political machinations of the city, Nix’s writing is always assured and genuinely transporting. There’s also plenty of empathy with modern teenage life with distracted parents, societal and environmental constraints, and learning who to trust. Once the scene has been set and the magical aspects come to the fore, the story really comes into its own. The adventure becomes gripping, and Clariel’s choices more complicated, and her decisions more desperate, if naïve, with grave, life-changing consequences. More ponderous than its predecessors, there’s plenty to recommend this book to new readers. For those who love the Old Kingdom trilogy, it’s a welcome return.